Interceptor is designed to reduce emissions, modern two-stroke snowmobiles are designed to burn less oil without sacrificing power. This generates high heat, which can lead to piston-ring sticking, piston scuffing and exhaust-power-valve sticking if the oil isn’t formulated to withstand the intense environment. 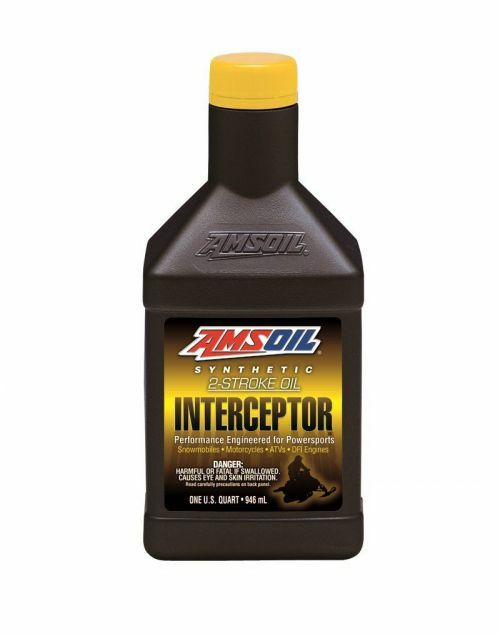 INTERCEPTOR is proven to prevent ring sticking, piston scuffing and exhaust-power-valve sticking in modern, high-performance sleds, helping you get the best performance and most years out of your snowmobile. It’s also less expensive than most original equipment manufacturer (OEM)-branded oils.